Lists Inc - An Industry Leader In The Healthcare & Medical Data Field Since '89, With Currently Over 9 Million Records On File. Get Started Today! The official page of the health plan that helps Floridians Embrace better health(R). The latest research on health, wellness, nutrition, & healthy aging. Innovative supplier of unique, premium quality dietary supplements, vitamins, minerals, herbs & hormones. The Alligator was founded in 1906 as The University News, which was an independent, student-owned newspaper created to serve the University of Florida when it opened in Gainesville. In 1912, the newspaper became a part of the University of Florida administration and was renamed the Florida Alligator. Being the largest student-run newspaper in the United States, it has a daily circulation of 35,000 and readership of over 52,000. Zavee is Social Shopping. We empower local merchants, reward loyal consumers and support local charities and civic organizations. Residents and travelers alike look to Florida Monthly magazine for its comprehensive information and resources on Florida lifestyle and travel. CMR Studios is a Tampa based video production company specializing in broadcast and internet video for advertising, marketing, e-learning, business communications and entertainment. It creates and produces all aspects of HD video productions, audio recording, and internet video media. CMR's clients are businesses of all sizes, advertising agencies, local and international corporations, indie filmmakers and motion picture studios. Founded in 1986 with an additional office in St. Petersburg, FL. Spanish Broadcasting System, Inc., is a major spanish radio owner and operator in the US and Puerto Rico. They own and operate 17 radio stations, including many top spanish radio stations in the US. du Pont REGISTRY provides luxury items for sale from exotic, and sports cars to elegant homes, from sophisticated motor yachts to specialty gifts and gadgets that appeal to the wealthiest shoppers in the world. Some higl-line cars it works with include Ferraris, Lamborghinis, Porsches, McLaren and Mercedes-Benz, etc. In the publishing industry, du Pont REGISTRY'S(tm) monthly magazines continue to be the leading publications for the high-end marketplace. Established in 1985 in Saint Petersburg, FL. 3D Eye Solutions is a 3D content conversion media development company. The Asolo Repertory Theatre or Asolo Rep is a professional theater in Sarasota, Florida. General Saw is THE industry leader in manufacturing of high quality carbide-tipped saw blades for the plastics, solid surface, aluminum and woodworking industries. General Saw: we are the cutting edge difference your company needs. Concord Camera was a producer of digital cameras that were sold under the brands of Concord, Jenoptik, and Polaroid. Its single-use and conventional 35mm and Advanced Photo System (APS) cameras were sold to retailers and corporate customers. Founded in 1982 and headquartered in Hollywood, Florida, Concord Camera is in liquidation since 2008. The company also had worldwide locations in Hong Kong, UK, and China. Time Customer Service, Inc. provides fulfillment services. The company provides services, such as stock acquisition and management, publisher statement creation, and promotion analysis. Its services cover areas, such as subscription management, credit card processing, and circulation statistics. The company is based in Tampa, Florida with offices in the Tampa Bay and Ocala areas. Time Customer Service, Inc. operates as a subsidiary of Time Inc.
Digital Media, Technology and Entertainment company specializing in corporate communications, e-learning, HD and 4K video production, website development, and AV rentals. com. In addition to Miami, Boats Group has operations in Fareham, Padova and Barcelona. Lakewood Ranch is a master planned community located in southeastern Manatee County and northeastern Sarasota County Florida, United States consisting of approximately 50 square miles. The Life and Times of Key Biscayne, Florida - Key Biscayne's local newspaper. Published weekly, every Thursday. Dynetech Corporation engages in the direct-to-market distribution of proprietary and licensed software, Web applications, and training programs. The company provides product development, sales and marketing, live event management, customer relations, and technology development services. It markets products using direct sales, advertising, direct mail, e-commerce, and live sales events. The company was incorporated in 2000 and is headquartered in Orlando, Florida. The Kravis Center for the Performing Arts is an American not-for-profit, professional performing arts center in downtown West Palm Beach, Florida. Motorsport.com is a website specializing in motor racing news. The Palm Beach Post is an American daily newspaper serving Palm Beach County in South Florida, and parts of the Treasure Coast. Beasley Broadcast Group, Inc., based in Naples, Florida, is an owner/operator of radio stations in the United States. As of June 2017, the company owned 63 stations under the Beasley Media Group name. Valpak Direct Marketing Systems, Inc., commonly known as Valpak, is a North American direct marketing company owned by Platinum Equity. WINK-TV, virtual channel 11, is a CBS-affiliated television station licensed to Fort Myers, Florida, United States and also serving Naples and Cape Coral. Digity, LLC is a diversified media, digital, entertainment, and event company. The company specializes in management, consulting, and investment services in media, digital, entertainment, and event areas. It also provides financial services for business to augment and replace part or all financial functions. The company was incorporated in 2013 and is based in West Palm Beach, Florida. As of February 25, 2016, Digity, LLC operates as a subsidiary of Alpha Media LLC. Signarama is the premier provider of a wide range of full-service sign and advertising products. Their team of experts provides comprehensive consultation to ensure the customer's sign displays a powerful, impactful message. Signarama is the sign industry leader with more than 30 years experience and with locations around the world to serve everyone's sign needs. Signarama offers a full range of comprehensive sign and graphic solutions from vinyl banners to digital signs to vehicle wraps. The Orlando Sentinel is the primary newspaper of Orlando, Florida and the Central Florida region. Heretic Films is an American film production company, based in the mountain resort town of Park City, Utah. Global Golf Post is the leading weekly golf publication in the world. Subscribe for free at https://t.co/ju9Z1qR0Bp to receive your issue every Monday. It grew from the Halifax Journal which was started in 1883. News 13 is an American cable news television channel that is owned by Charter Communications. Digital Juice, Inc is a privately held royalty-free content provider for professional video, print, and presentations. The company sells packaged content products direct to customers. Digital Juice was founded in 1992 and was originally based out of Ocala, Florida. Digital Juice has offices in Florida and Bangalore, India. Florida Pest Control offers pest management & lawn treatment services. Indoor & outdoor pest control. Exterminator offices throughout Florida. Cape Publications, Inc., doing business as Florida Today, publishes daily, weekly, and monthly community newspapers in the United States. The company s newspapers provide information on various categories, such as news, communities, sports, multimedia, life, weather, opinions, data center, and classifieds. It also provides floridatoday.com, which provides news and information source in the areas of news, business, sports, entertainment, lifestyle interests, real estate, automotive, employment, and classified advertisements for online audience. 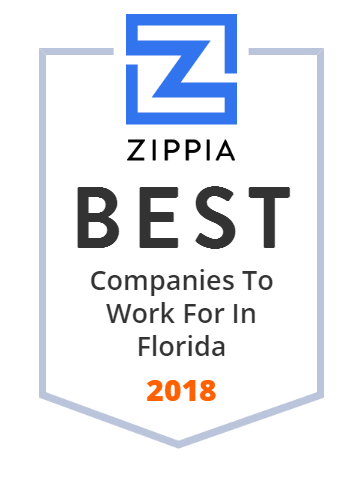 The company was founded in 1966 and is based in Melbourne, Florida with additional offices in Titusville, Palm Bay, Merritt Island, and Sebastian. Cape Publications, Inc. operates as a subsidiary of TEGNA Inc.